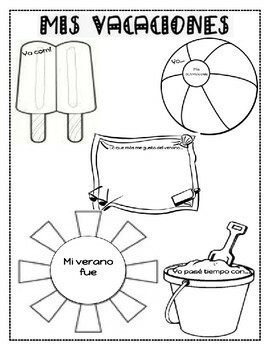 This is a great way to have the students share what they did over summer vacation, using vocabulary and getting them to think in the past tense. I use this product at the very beginning of the year as a homework assignment to get the students to tell me a little about themselves, and to start thinking again in the preterite. I use this for beginning of Spanish 3 CP level course (they've learned regular preterite verbs and usage in Spanish 2).